P. H. Miller Studio, frame-makers, inc.
At Classic Interiors, we are committed to presenting a fresh perspective on “classic” designs with an eclectic, timeless and elegant approach. We offer vast experience in revitalizing spaces for our clients with dedicated service from a project’s initial conception to its completion. 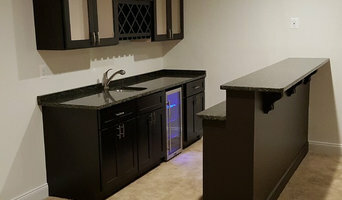 Our objective is to guide our clients through the design process utilizing all style elements – texture, color, space planning, finishes, emphasizing form and function. No project is too small for our big ideas. 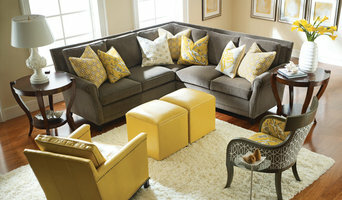 Whether it be a single room or an entire house, let us transform a house into “YOUR” home. Merritt Gallery & Renaissance Fine Arts is an established fine art gallery with a long family tradition. For over 25 years, we have been helping our clients create beautiful and unique collections. 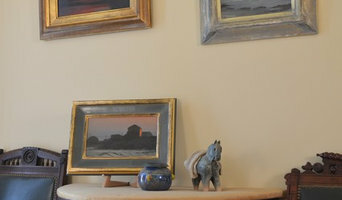 With three locations, we house the largest collection of art in the Mid-Atlantic region. Traditional to contemporary, our diverse collection ranges from original works on canvas and paper to sculpture. Our Master Works gallery includes original works by Picasso, Matisse, Renoir and Warhol to name a few. Housed in our off-site state-of-the-art facility, our custom framing division allows us to provide a superior product using Library of Congress approved, museum-quality materials and preservation techniques. Our experienced consultants combine their art expertise and design sensibility to connect the art to the client, selecting works that reflect each distinct personality. We are committed to building art collections that satisfy both the aesthetic and budgetary objectives of our clients. At Merritt Gallery & Renaissance Fine Arts, we are dedicated to providing our clients with the highest standards of service and finest artwork and custom framing available. Abraham Garcia has been a professional artist for over 40 years, and has worked in many mediums including oils, pastels, acrylics, charcoal, airbrush and watercolor. Originally from Lima, Peru, Abraham studied at the fine arts institute: Escuela Nacional Superior Autónoma de Bellas Artes del Perú located in Lima, Peru. Abraham moved to Miami, Florida where he spent several years working as a fine artist, muralist and served as Professor of Airbrush Technique at the University of Miami, Florida along with painting Olympic athlete portraits and murals for the University. Residing in and working from his home studio in Rockville, Maryland, Abraham primarily works on commissioned works including murals for residential and commercial locations. Mural paintings have been commissioned in over 30 locations throughout the Washington D.C. metropolitan area. Further specializations include oil or pastel portraits and fine art restoration/conservation. 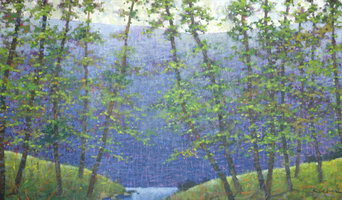 Abraham Garcia has exhibited at the Rockville Art League at the Glenview Mansion – Rockville, Maryland. ; Capitol Arts Network - Rockville, Maryland. and Thomas Farm Community Center - Rockville, Maryland. 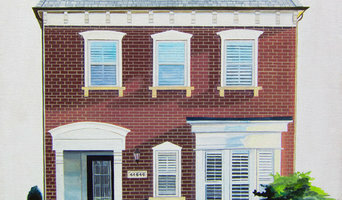 Abraham is currently exhibiting paintings throughout Montgomery County, Maryland. Framebridge is the simple way to custom frame everything you love. We source premium materials directly from the best manufacturers, allowing us to drive down the cost and kick up the speed of traditional custom framing. Our mouldings are premium wood, our acrylic is cut using the newest technology, and every single piece is assembled and inspected by a real live person, right here in the U.S. We build every frame in our studio, empowering our team of designers, craftspeople and technicians to control the framing process every step of the way. The result? A beautifully-framed piece of the highest quality in the industry. Totally custom. And made just for you.